Nehwal booked her berth in the summit clash after displaying a gritty performance to defeat China’s He Bingjiao in the semis. She won the match with a scoreline of 18-21, 21-12, 21-18. Indian shuttler ace Saina Nehwal is all set to take on Spanish sensation Carolina Marin at the Indonesia Masters finals on Sunday. Nehwal booked her berth in the summit clash after displaying a gritty performance to defeat China’s He Bingjiao in the semis. She won the match with a scoreline of 18-21, 21-12, 21-18. She will no aim to begin the year on a high with all eyes on the gold. Carolina Marin is one of the best in the world and qualified for the finals after eliminating India’s PV Sindhu in the quarters and China’s Chen Yufei in the semifinal. Eighth-seeded Saina defeated her opponent 18-21, 21-12, 21-18 in a 58-minute affair. The Indian lost the first game but came from behind in the next two games. Saina, who had reached the finals in the last edition, will now take on Spain’s three-time World Champion and reigning Olympic champion Carolina Marin, who defeated China’s Chen Yufei 17-21, 21-11, 23-21 in the second semi-final. 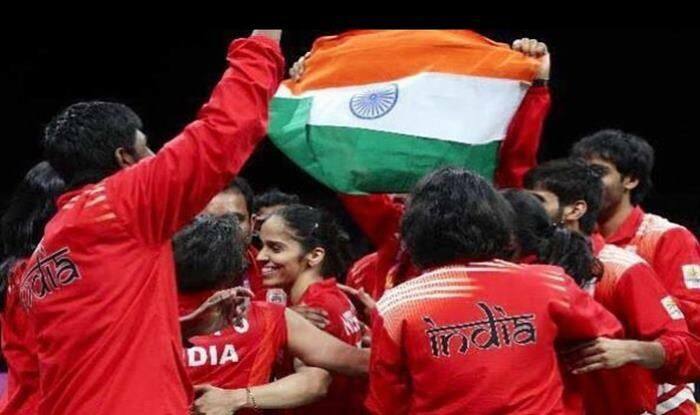 Saina had won a gold at the Commonwealth Games last year, a bronze at the Asian Games and had reached the summit clash of Denmark open, Syed Modi International and Indonesia Masters in 2018.